How Does HIV Affect the Brain? 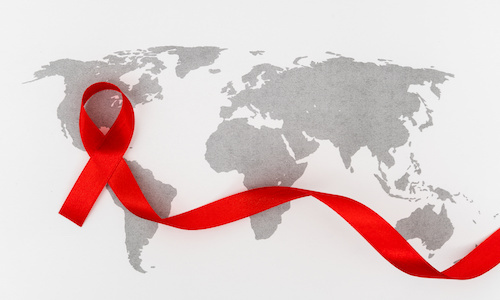 Despite many advancements made in the fight against HIV, there are still many unknowns. One question of interest to many investigators is, how does HIV affect the brain? It is uncertain if the virus is directly associated with neurocognitive decline; however, there is substantial evidence that suggests that virus indirectly manifests in poorer neurocognitive outcomes. In a presentation at ID Week 2017 in San Diego, California, Shibani Mukerji, MD, PhD, of the Department of Neurology at Massachusetts General Hospital, shared that very early on in infection, the virus invades the central nervous system (CNS). “Within days of plasma viremia, HIV RNA can be detected in the cerebrospinal fluid [CSF], and this early penetration is hypothesized to set the stage for future neurocognitive impairment,” Dr. Mukerji said. The CNS has its own unique immune surveillance, Dr. Mukerji explained, however, recent studies indicate that this immune surveillance is complemented by input from the peripheral immune system. Peripheral cells, including t-lymphocytes, enter the CNS under normal conditions, but during HIV infection and immune activation, there is a heightened trafficking of these cells, which can harbor HIV. “When an HIV infected cell enters the brain, there is a release of inflammatory cytokines and chemokines, which then attract more immune cells. There is a cycle of inflammation that is established,” Dr. Mukerji explained. Both in vivo and in vitro studies suggest that these inflammatory processes, and perhaps toxic effects from viral proteins, will eventually damage neurons, driving brain atrophy and neurocognitive impairment. According to Dr. Mukerji, this neurocognitive decline is not due to direct viral infection, but bystandards for these local inflammatory processes. In primary HIV infection, CSF inflammatory markers are elevated. Dr. Mukerji explained that this correlates with systematically low CD4 cell counts, which has been associated with worse neurocognitive outcomes, even when excluding opportunistic infections. Dr. Mukerji cited a recent study conducted at UCSF to illustrate this point. In the study, researchers monitored the first 20 days of estimated exposure to HIV and identified that there is already increased activated CDAT cells present in the CSF at the time of peak viremia; this is carried over into chronic HIV. “What’s slightly concerning to me is that in this acute phase, we are already seeing differences in brain volume and structural brain MRI,” Dr. Mukerji admitted. The MRI study calculated the volume of a brain tissue and showed that within a very small number of days after estimated infection, and prior to antiretroviral initiation, volumes were getting smaller. “What this really suggests is that within weeks of estimated infection, HIV may already be altering the underlying neural anatomy of our brains and altering our neural networks,” Dr. Mukerji said. While HIV may play a role in exacerbating neurocognitive impairment, similarly, neurocognitive impairment can result in poorer HIV outcomes. “Neurocognitive disorders affect antiretroviral adherence and viremia, and can affect work, financial considerations, and impact overall quality of life,” Dr. Mukerji said. Twenty percent of new HIV diagnoses in 2015 were in individuals over the age of 50, and 40% of those individuals had a late-stage infection at the time of their diagnosis. Odds of neurocognitive impairment increased by 20% with every decade of life. Earlier diagnosis is key to treating these patients and helping them achieve better HIV and neurocognitive outcomes. However, despite ART, it is known that neuroinflammation is established in acute HIV infection that persists into chronic infection.